Delaware’s Dogfish Head Brewing Company has reached national notoriety and helped launch a craft beer revolution both across the country and right here in their home state. Today, many of those breweries can be found in Greater Wilmington, the opposite end of the state and about 80 miles from Dogfish’s home in Milton, Delaware. From brewpubs to microbreweries and even a craft meadery (honey wine) Greater Wilmington’s craft beer scene will quench a variety of tastes. Mix-in a local attraction or two and you’ve got the makings of a craft beer tasting weekend that is just minutes off I-95 and much closer than you think. Plus, if you are up for a challenge, many of the breweries are part of the Delaware Beer, Wine & Spirits Trail. Complete the trail&apos;s passport and you’ll receive a special gift. A challenge like this might just have you coming back again and again. Nothing goes with a good craft beer quite like a delicious slice of pizza, and you can find both at Argilla Brewing Company in Pietro’s Pizza. The amazing owners of this outstanding pizza shop turned their love for home brewing into a delicious extension of their already successful business. One of the best things about Argilla Brewing Company is that they operate their entire brewery with a 1.5 barrel system. In case you are wondering, that’s pretty much the smallest commercial system you will find anywhere, and what that means is that you are always going to get a fresh and unique pint to go with your pizza! 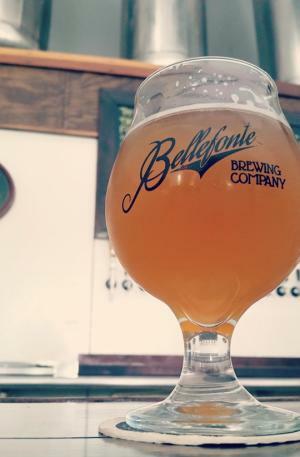 Located just a bit east of Argilla Brewing Company and a little closer to Wilmington is the Bellefonte Brewing Company. The tap room here contains a great selection that includes eight regular production beers, as well as two taps dedicated to their constantly changing seasonal varieties. In addition to being a great place to purchase and drink craft beer, Bellefonte Brewing Company is also a fantastic place to learn about getting into the hobby of home brewing. They have all the equipment you need to get started, and are happy to help explain just about every aspect of the brewing process. 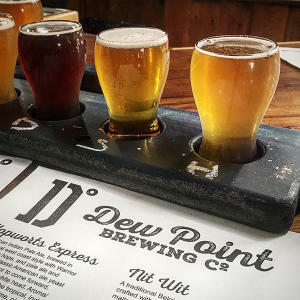 Heading northwest out of Wilmington, about 9 miles, you will find Dew Point Brewing Company right before crossing the border into Pennsylvania. This brewery is located inside the historic Garrett Snuff Mill in Yorklyn, Delaware and is one of the newest, opening their doors in 2016 after a three-year renovation of the property. You can enjoy Dew Point’s Belgian-inspired brews in their awesome second floor tasting room or grab a growler to go. Maybe best of all is visiting on a food truck night to enjoy great beer and great food in the private green space right outside brewery doors. Frozen Toes is Delaware’s smallest nanobrewery located in Wilmington, just minutes outside the city, operating inside the kitchen at the award-wining Pizza by Elizabeths. All of our beer here is crafted on a Sabco Brew Magic system which can only produce 13 gallons of beer at a time. By brewing such small batches, Frozen Toes is able to brew each batch with a creative element and are consistently bringing something new to their taps. Iron Hill Brewery & Restaurant takes its name from an historic Revolutionary War landmark in Delaware, where Generals Washington and Lafayette battled against General Cornwallis to ensure American liberty. And, much like Washington is a forefather of our country, Iron Hill in many ways is a forefather of craft beer in Delaware having opened in 1996, ahead of the craft beer craze we know today. Because it is so well known as an excellent restaurant, Iron Hill Brewery often gets overlooked as a brewery, but in fact they serve up award-winning brews on a regular basis from the 14 varieties on tap daily from either of its Greater Wilmington area locations – their flagship restaurant on the University of Delaware campus in Newark, Delaware or their location on Wilmington’s Riverfront. 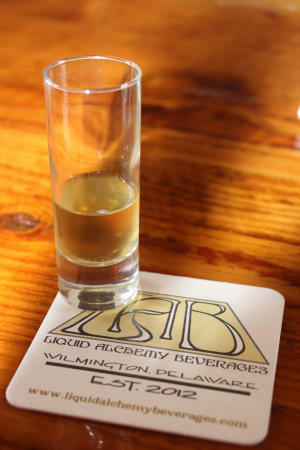 While they might not exactly be a true brewery, Liquid Alchemy Beverages, located right here in Wilmington, is the state’s first craft meadery. What is a meadery or mead you might ask? It is actually one of the oldest know forms of alcoholic beverages, dating back to 7000 BC and is made through the fermentation of honey with fruits, spices, grains or hops added for flavor. When they tried mead for the first time back in 2012, owners Jeff and Terri knew that their entire lives were about to change. That change led to the creation of Liquid Alchemy Beverages, where you will find ten different flavors of the delicious fermented honey beverages and more being developed each day. Heading a little bit further south into New Castle County, you will stumble upon Stewart’s Brewing Company, which boasts a 150-seat restaurant in addition to 30 seats at their large bar. Dating back to 1995, this was one of the very first brewpubs in the area, and along with Iron Hill Brewery are partly responsible for the modern trend of delicious food and craft beer in the Greater Wilmington region. Stewart’s offers a selection of full-time house drafts as well as great seasonal brews cooked up by brewmeisters Ric Hoffman and Eric Boice. Over the years these guys have put together quite a resume including awards from the Great American Beer Festival and the World Beer Cup. If you are already packing your bags and planning to taste your way through these Wilmington breweries, wait just a moment, as this is just the tip of the proverbial iceberg. Several other breweries and brew pubs are just minutes away in neighboring south eastern Pennsylvania, while other Wilmington area breweries are preparing to open soon (see list below). Whether your goal is to hit all of our local breweries over the course of a single weekend or to spread out the malt and hops across a few separate visits, there is plenty to see and do for the craft beer lover here in Greater Wilmington. View these breweries on a map and start planning your tasting tour today.